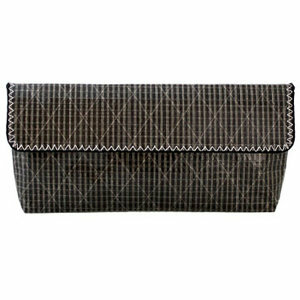 Inspired by participating in the Royal Swedish Yacht Club’s fashion show, we created a sailcloth evening bag. They are sewn in a limited edition numbered from 1 to 100. 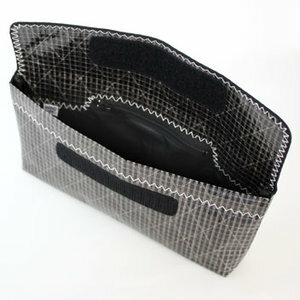 The evening bag is lined with spinnaker and has a small zipped compartment inside. The outer cloth is a mesh of white threads covered with a translucent smoke coloured laminate, together the both layers give the bag its glowing luster. Sail cloth is water resistant and easy to wipe clean. 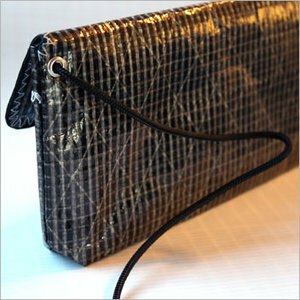 The bag comes with a removable thin shoulder rope.